Are you looking for a Special Gift for the Happy Camper in your life? Let us help you with ideas that our shoppers just love! 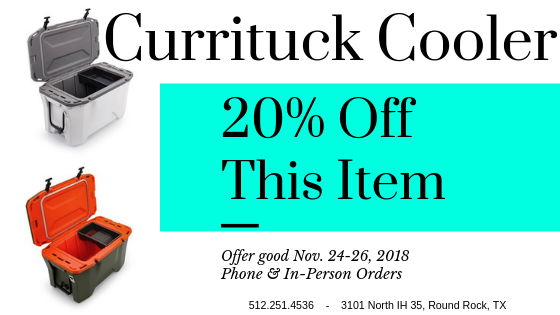 Take a look below at the feature-rich Currituck Ice Chest! Are you comparing options to decide which brand of cooler to buy? Keeps ice for up to 10 days! 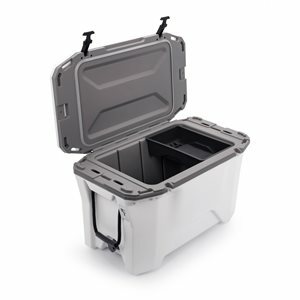 Rugged design with stainless steel hardware and impact modified polypropylene resin with uniform wall thickness in combination with a closed-cell polyurethane foam and a freezer-grade seal. Double sided feet, one side is rubber for a non-slip base, the other side is molded plastic for easy sliding on slick surfaces. Molded slots for straps to hold the cooler in place and still have full access to the interior! Slots also double as locking locations to keep the lid closed! Low drains on each side for easy draining in any location! Great optional accessories like cup holders, fishing rod holders, dry baskets and dividers! Check out all the Currituck Ice Chest features! Need a camper to go with that high-tech cooler?